In order to make sure it doesn't have to pay hefty fines for bundling software again, Google has taken the entire “browser wars on Android” to a whole new level. From today, users that buy an Android-powered smartphone (as well as those that already own one) will be prompted to choose not just their preferred browser, but their preferred search engine too. “On Android phones, you’ve always been able to install any search engine or browser you want, irrespective of what came pre-installed on the phone when you bought it,” Google’s SVP of global affairs Kent Walker wrote in a blog post. We don’t know when exactly this feature will hit the phones, because the announcement was fairly vague on the date. All we know is that it is arriving ‘over the next few months’. We also don’t know which browsers or search engines Android will offer to its users, if any. It may as well be a blank page for people to fill in however they like. The truth is, we don’t know at this point. 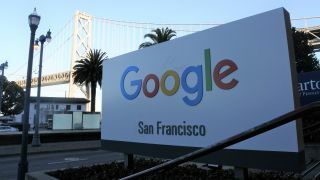 Back in 2018, Google was hit by a $5n fine by EU regulators, after it was ruled that it violated antitrust laws by tying Chrome and its search app to the Android operating system.